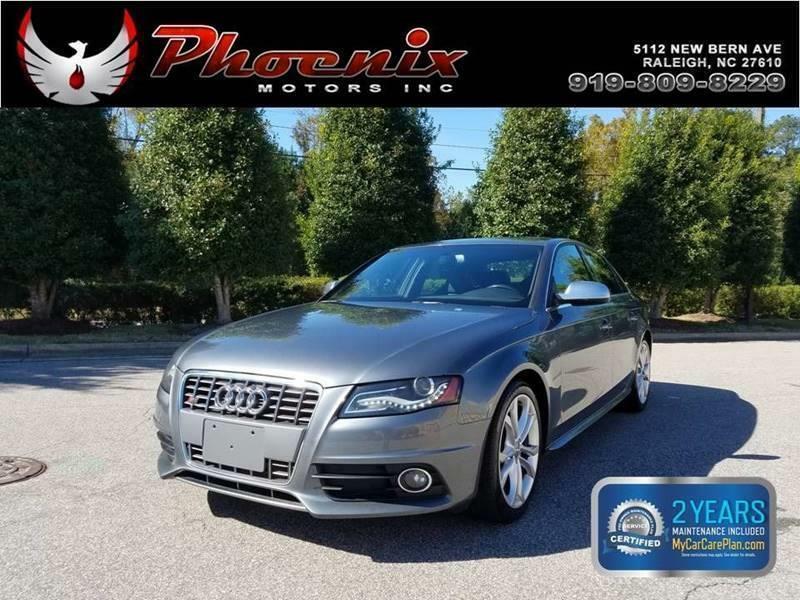 I would like to learn more about this 2012 Audi S4 3.0T quattro Premium Plus AWD 4dr Sedan 7A. Please contact me as soon as possible! The 2012 Audi S4 exists to satisfy power-hungry customers who find the pedestrian A4 and its 2.0-liter turbo four inadequate. Instead, the S4 is packed with a supercharged 3.0-liter V-6-engine with a power output rated at 333 hp and 325 lb-ft of torque. The five-passenger S4 features many items expected in an Audi. Standard features include automatic climate control, brushed aluminum trim, Bluetooth, a sunroof, and perforated leather seats with Alcantara accent pieces. Additionally, the seats are power adjustable and come with heating functions. The S4 includes a long list of safety items such as electronic stability control, four-wheel anti-lock brakes, electronic brake-pressure distribution with brake assist, a LATCH system, seat belt pretensioners, and six airbags for front, head curtain, and front side protection.